Greetings from a very rainy netherlands! Streets are like rivers, but that didn't stop the mailmen from bringing the post around. So I also got some cards today. JP-122761: This card is sent from Japan, written by Ai. 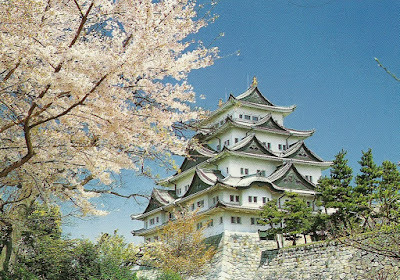 She lives in Nagoya where this beautiful castle is situated. A very beautiful card with also typical Japanese blossoms seen on it. I loved the airport stamp she used. 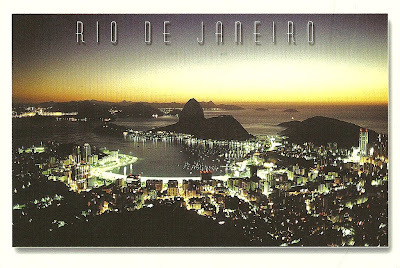 BR-115957: Rio de Janeiro, a place full of heartwarming people I have heared. Well, this card was full of nice words written by Roberto from the big city so I guess what they say is right. This is his very first postcard sent and registered on postcrossing. I always like it to receive someone's first postcard sent. US-801266: Today another magnificent owl card! This time from the US sent by Jean-Claude living in the high mountains of North Carolina where you apparently have lots of birds of prey. 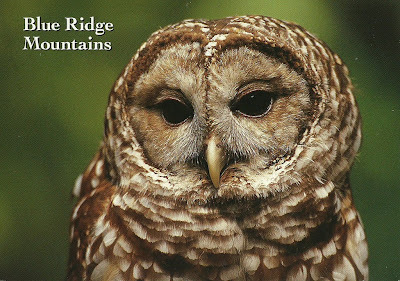 This barred owl is one of them. What a fantastic photograph and I really adore this cute looking owl. FI-881491: And a rather different card from Finland. 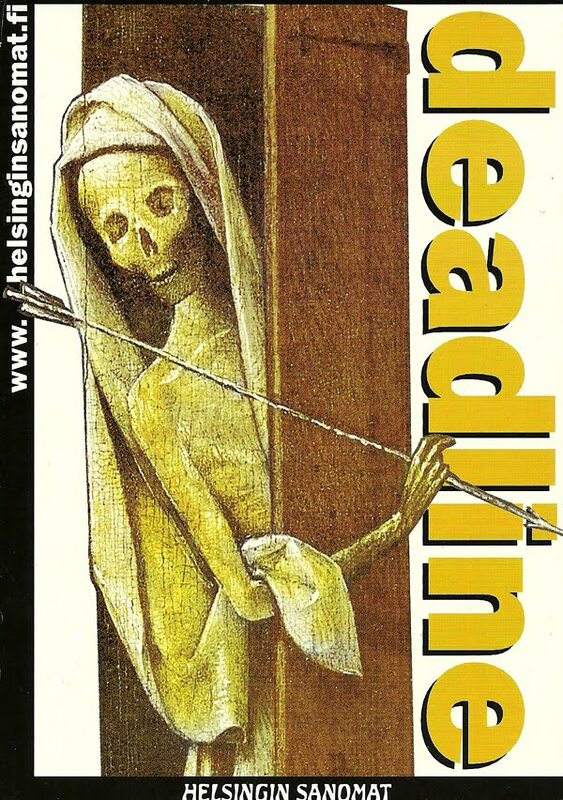 It is a card promoting a test where people need to answer questions about their habits and that would eventually result in details about their time of death and advice of getting a healthier lifestyle according to the sender Liris.